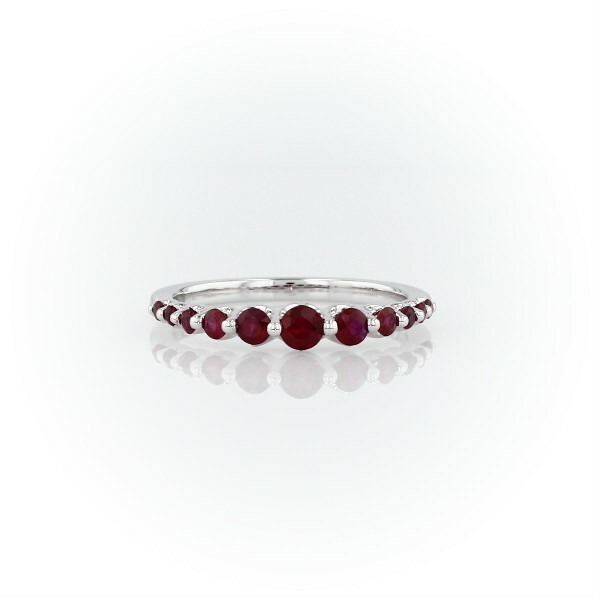 The pure beauty of eleven red rubies appears to float on this special claw-set 14k white gold band that's perfect for stacking. Gemstones in ascending sizes deliver the eye-catching colour. Due to this ring's delicate nature, we do not recommend for daily wear and are unable to resize or repair.